Recent projects include conservation of the sixteenth century terracotta sculpture roundels at Hampton Court Palace and development of cleaning and repair methods for the external terracotta façade of the Natural History Museum in London. "Catherine leads an impressive line-up of expert tutors and lecturers from across the sector, delivering a suite of courses which provide a broad range of expertise in building conservation. She has the professional experience to consolidate our current courses, and the expertise to identify and commission new courses to meet evolving challenges", comments David Dorning, Head of School of Conservation at West Dean College. Talking about her new role, Catherine comments, "I find the study and investigation of historic structures endlessly fascinating. It is extremely rewarding when students engage in the process of reading historic fabric, to determine how it was built and how weathering, past interventions, and other factors have led to its current condition. The ethos of the West Dean courses is first to understand historic buildings through survey and analysis and then to develop plans and options for remedial work, based on practical experience of the methods and materials to be used. 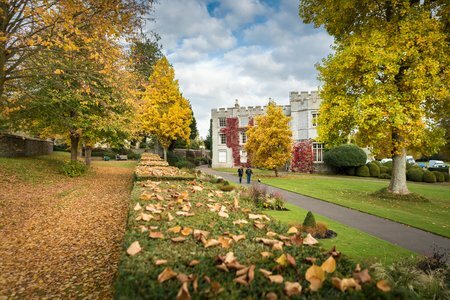 The West Dean estate provides an inspiring setting and numerous historic structures which serve as subjects for study, investigation and practical work." The Building Conservation Masterclasses at West Dean are intensive short courses, which can be taken singly or as a Professional Development Diploma. They have been developed in collaboration with Historic England and adhere to their standards to improve building conservation practice by providing training in technical repair and maintainence of historic structures. Students practise these techniques on West Dean's unique Ruinette, a purpose-built structure exhibiting many of the problems found in historic buildings. The Masterclasses are attended by conservators, architects, surveyors, planners, archeologists and specialist contractors. The College attracts students nationally and internationally for its practice-led approach to the development of conservation skills, and for its dynamic engagement across the sector. 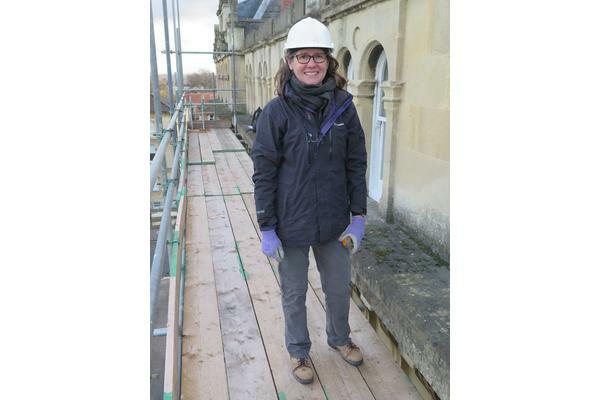 Catherine Woolfitt is an archaeologist and architectural conservator and acts as Subject Leader for Historic Building Conservation. An accredited member of the Chartered Institute for Archaeologists (CIfA) and of the Institute of Conservation (ICON), she has worked in the conservation of built heritage since 1993. Having practised conservation in Italy, Israel, England, Scotland, and Wales, her experience bridges the museum, object, and building conservation sectors. She is committed to raising standards of work to historic fabric and to wider dissemination of conservation principles and practice across the allied fields of archaeology and construction. 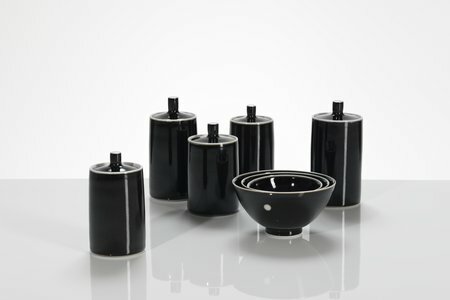 She provides technical advice in the conservation of historic masonry buildings, ancient monuments and sculpture and specialises in porous building materials, with a focus on building limes, building stones and architectural ceramics. Research interests range from the investigation and analysis of historic mortars and their technical development, to architectural ceramics, in particular the impact of past chemical cleaning of brick and terracotta, and the in situ treatment of architectural sculpture. 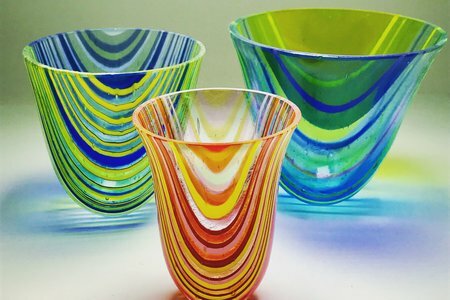 West Dean College of Arts and Conservation is part of The Edward James Foundation, a charitable trust also comprising West Dean Gardens, West Dean Estate and the West Dean Tapestry Studio. Charity No. 1126084. 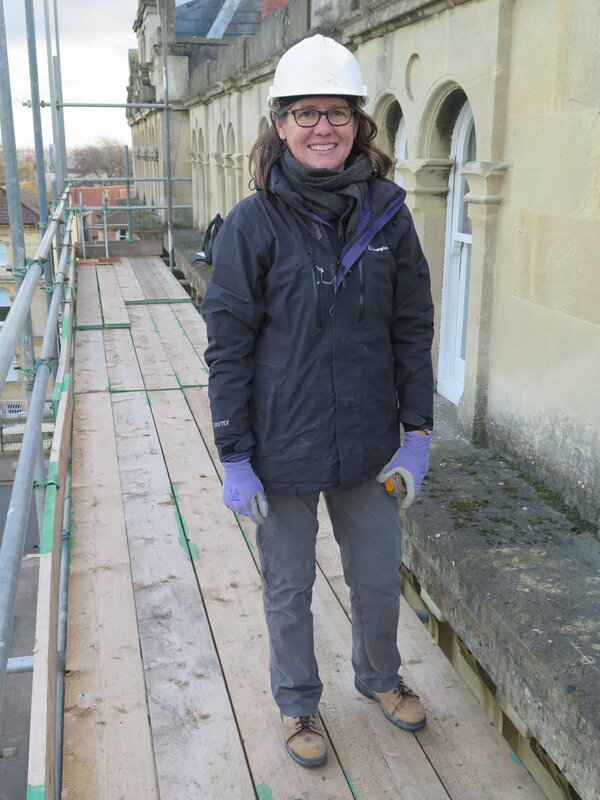 Catherine Woolfitt, Subject Leader Historic Building Conservation and Repair at West Dean College of Arts and Conservation.